Crowd funded HIV vaccine–more junk science! Since humans were first able to communicate with one another, there probably was someone there trying to sell a great new medical advancement. The Stone Age Grok probably would sell you an herbal cure for your broken leg that would cost two goats and a flagon of Stone Age mead. Not being a psychiatrist, and not playing one on the internet, I can only speculate that humans are always searching for the easy cure, the easy treatment, and there are other humans ready to fulfill that market need with magical beliefs. And if you think that things have changed since Grok, the Stone Age Big Herbal salesmen, was around, you’d be wrong. Instead of goats, it’s money. And instead of cures for broken legs, it’s AIDS vaccines. A few weeks ago, I wrote an article about a crowdfunded company, Immunity Project, that claims it had developed a paradigm-shifting new HIV/AIDS vaccine, that they will sell for free. 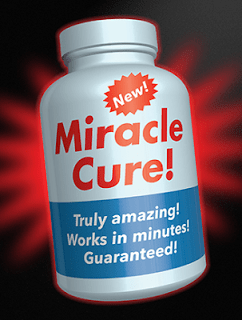 To put it lightly, I was highly skeptical, not only of the the science behind this magical vaccine, but also of their business strategy, which would require them to raise hundreds of millions of dollars to sell the vaccine at $0. The principals of the company very politely hit back at me on Twitter and on the comments section of the original article, asking me and others to read their white paper (pdf), which appears to be nothing more than an advertising piece about their company and their ideas. Immunity Project is relying upon crowd funding (or sometimes called crowd sourcing) to raise startup (or angel) money to get their company going. This money is raised online from a broad community of “investors” who contribute usually smaller amounts of money than would be a big time investor (corporate or private capital). Their goal is to raise enough money to get the concept into clinical trials and eventually to sell it for free. Evidently, Immunity Project (IP) wants to invent a vaccine that mimics a response called the “HIV controller” or more commonly known as long-term nonprogressor. This condition is observed in about 1 in 300 HIV infected individuals. Essentially, these individuals become infected by HIV, but never develop AIDS, and can go decades without exhibiting any symptoms of AIDS. No, they don’t eat better food or get more sunshine. No, they don’t take a secret supplement to prevent progression into AIDS. It’s just random chance. According to the scientific consensus, nonprogressors have gene mutations, receptor mutations, mitochondrial DNA mutations, or some other genetic variance that cause the individual to more aggressively attack the HIV pathogen. So, how is Immunity Project going to induce this not well understood condition with a vaccine? Is this vaccine going to induce a mutation? Is this vaccine going to somehow force the body to act like a controller through some radical new biotechnology? Well, that’s why there’s peer-reviewed research, which gives us an opportunity to review the science and begin the process of skeptically analyzing the methods, data, analysis and conclusions. I am an HIV vaccine researcher, and I only have a vague guess as to what they are proposing. I’m guessing (GUESSING) they want to generate a CTL response (killer T-cell response of typical vaccines). Instead of producing the proteins endogenously and having those proteins induce a CTL response, they appear to want to deliver the peptides. I have a number of major issues with this, even as a casual CTL researcher (side project I did for an HLA lab), I can only imagine the major players in the CTL side of HIV World have even more concerns. I can delve into these if readers want to know. Because there is no clear research proposal available, I wonder if science is ‘not the point’. Average Joes and Janes are potential donors, not scientists. Scientists have apparently already evaluated this research and said ‘No’, so now this group is crowdsourcing. Science is there for a ‘GEE WIZ MAGIC!’ factor (again, watch the video). HIV controllers are not magic. Some people infected with HIV-1 are able to control infection better than others (aka not progress to AIDS as fast as others). This is due to a multitude of reasons, but one of the strongest correlates to ‘controller’ vs ‘non-controller’ is what your genetics looks like. But just because you have a ‘protective’ allele it does not mean you arent going to progress to AIDS. Its dumb luck, not magic. And you cant alter someones HLA allele with peptides. God please dont get me started on HIV and HLA. Nevertheless, despite all of the speculation, there is one simple fact. Immunity Project has yet to provide anyone with peer-reviewed papers that document how their so-called vaccine would work in any model, animal, human, cell culture, anything. Without scientific evidence, the best we can do is speculate, based on what we know of how HIV is transmitted, and how the immune system reacts to the virus. If there is some magical way of blocking it, unknown to all of science, then it behooves Immunity Project to bring it forward. Immunity project has raised over US$400,000 without a single peer-reviewed paper showing its ideas are sound. None. According to the article, “But missing from Rubsamen’s (founder of the project) promotional campaign are any HIV researchers or data supporting the effort’s scientific strategy. The unorthodox approach raises the question of whether crowd-funding in Silicon Valley, which tends to be more impressed with technology and marketing than peer-reviewed data, is compatible with medical research — an increasingly pertinent issue as scientists appeal to the public to fund more projects aimed at developing therapies.” This project would be laughed out of most venture capital company’s offices, who only invest when they see some good science. Yes, venture capitalists take risks, but they don’t make dumb investments. “I worry that the skills necessary to run a successful crowd-funding campaign are orthogonal to the skills needed to make a successful therapy,” says Max Hodak, co-founder of the Menlo Park, California-based biotechnology company Transcriptic, which raised $1.2 million of its $4.1 million in funding on AngelList. “You can have people who are bad at science but are good at fundraising in public.” Because Immunity Project has some lovely videos, and an outstanding website. Two actual HIV researchers who were once associated with the project, Bruce Walker, one of the world’s leading researchers in HIV vaccines and Salim Abdool Karim, a close associate of Dr. Walker, and also one of the world’s leading researchers in AIDS prevention, have requested to have their names stricken from any materials associated with Immunity Project. The article says that a consensus of science in this area states that “controllers quash HIV in part thanks to their genetic make-up, which cannot be duplicated in non-controllers. That would make it impossible for a non-controller to completely mimic a controller’s T-cell response.” Dr. Abbie Smith said the same thing. Controllers are simply a result of a random genetic mutation that cannot be replicated, unless we were to somehow change the genetics of every single individual who got this “vaccine.” You can’t. Only anti-GMO cultists believe that changing human genes is that easy. I still don’t know if Immunity Project is a scam or not. But they have nothing, and they are taking money from people who seem to be scientifically immature and gullible to any new idea about preventing AIDS. Candidly, I would love to be associated with a group that was actually developing a real innovative and working vaccine against AIDS. I would love to develop a business model that might actually provide the vaccine for free for those who can’t afford it (I would make Americans and Europeans pay a high price for the vaccine, but give it away to anyone in the world who couldn’t afford it). But Immunity Project’s business model would make a first year MBA student laugh hysterically, and it’s scientific research is bereft the one thing that I personally demand of science–evidence. And if you’re going to take people’s money, that evidence must be immense, subject to excessive levels of scrutiny, and repeated by many other labs. And then I want to see real clinical trials. Reid Rusamen and Immunity Project are really good at social media and advertising. The juries are still out on their science, but right now, the scientific community is leaning strongly against them. And don’t think a non-peer reviewed amateur “white paper” is at all convincing. When I see a white paper, I immediately know something is being hidden because a peer-reviewed paper would have been offered first. Furthermore, private equity investors don’t like HIV vaccine plays because the real money in HIV is in developing new lifelong therapies that people living with HIV will have to take for the rest of their lives. Big science controls most of the rest of the funding that is available, and our breakthrough, IT-based approach to HIV vaccine development is still too early to resonate through the old boys funding network. Yet Immunity Project publishes a White Paper which is right out of the Big Pharma Marketing Playbook. Too ironic for words. If you want to invest in this company because you think they are trying to do something new and innovative, be my guest. But beware, they aren’t doing anything new and innovative, they aren’t providing us with anything that makes us even slightly inclined towards the scientific possibilities of their ideas. Right now, there is no rational scientific hypothesis that would allow us to think that there’s a way to create a controller type of genotype to block AIDS. If they could, it would be groundbreaking. The problem is that they’ve shown nothing (and by nothing, I mean zero) that establishes even the possibility that they know of a way to create a controller out of nothing. Other than magic. Right now, they’re just the modern world’s version of Grok. Fauci AS. An HIV vaccine: breaking the paradigms. Proc Assoc Am Physicians. 1996 Jan;108(1):6-13. Review. PubMed PMID: 8834058. Nabel GJ. Challenges and opportunities for development of an AIDS vaccine. Nature. 2001 Apr 19;410(6831):1002-7. Review. PubMed PMID: 11309631. Poropatich K, Sullivan DJ Jr. Human immunodeficiency virus type 1 long-term non-progressors: the viral, genetic and immunological basis for disease non-progression. J Gen Virol. 2011 Feb;92(Pt 2):247-68. doi: 10.1099/vir.0.027102-0. Epub 2010 Nov 24. Review. PubMed PMID: 21106806. Previous PostPrevious Do you believe in treating cancer with alternative medicine?